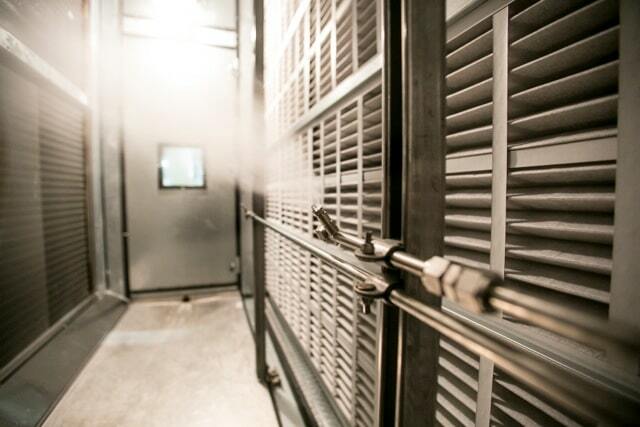 Cooling large air-cooled heat exchangers. 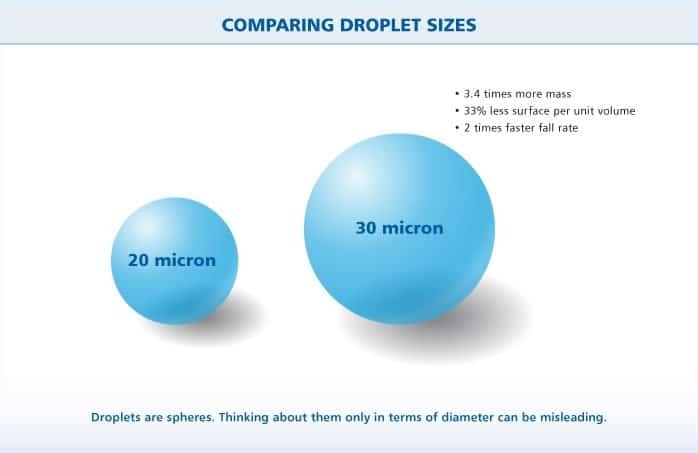 | Mee Industries, Inc.
To boost the capacity of the existing rooftop condenser units for an 80,000 square foot urban data center so the company could add more computing equipment without having to shut down the data center during summer heatwaves. Install MeeFog fogging units on the eight existing rooftop dry cooler condenser units. 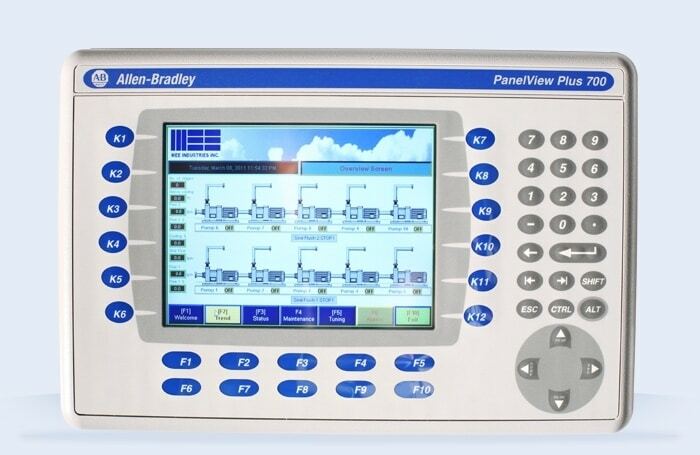 Operate the MeeFog units when glycol temperatures exceed 100°F. 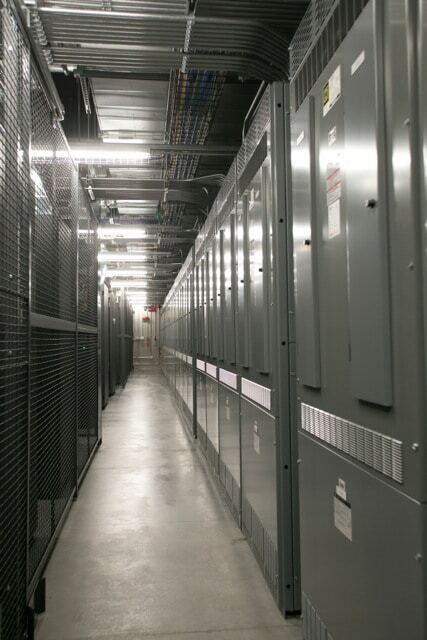 A major financial institution operates two mirrored data centers to service its New York City operations. One of these occupies the second floor in a 14-story brick building, originally built in 1912 to house a department store, but now a multi-tenant structure hosting computing and telecom equipment. 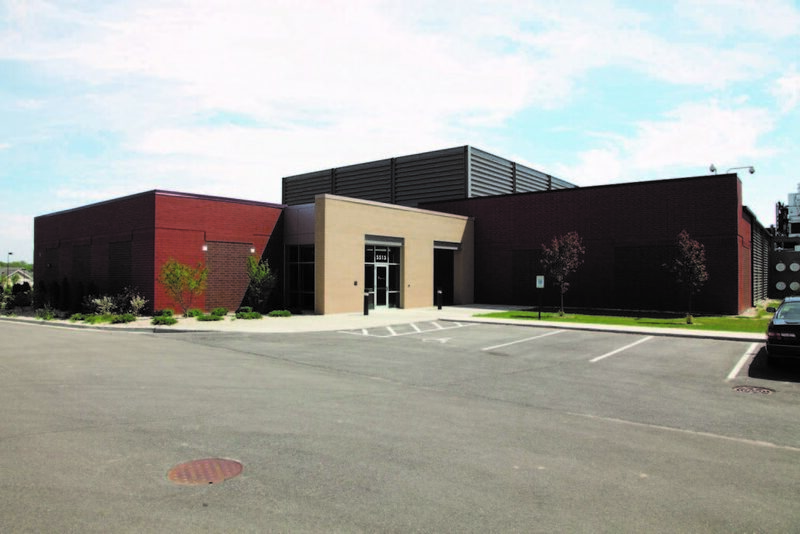 The 87,000 square foot data center contains about 30,000 square feet of white space for the computing and storage equipment and a small amount of office space. The rest of the space is used for battery rooms and other ancillary equipment. Achieve Better Performance, Increase Economy and Reduce Maintenance. 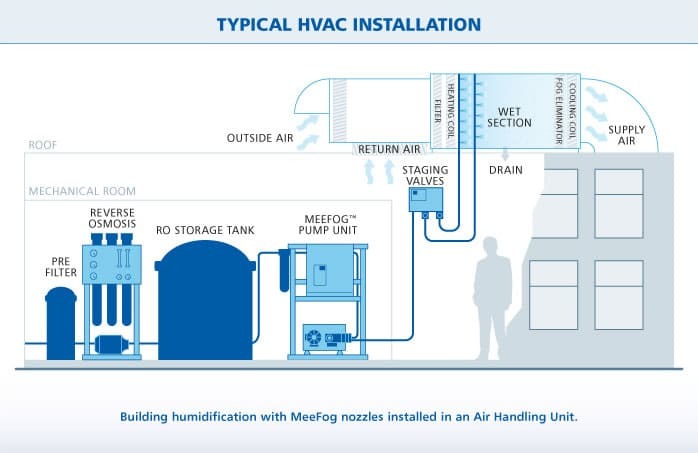 MeeFog™ system cools the inlet air near the wet bulb temperature. 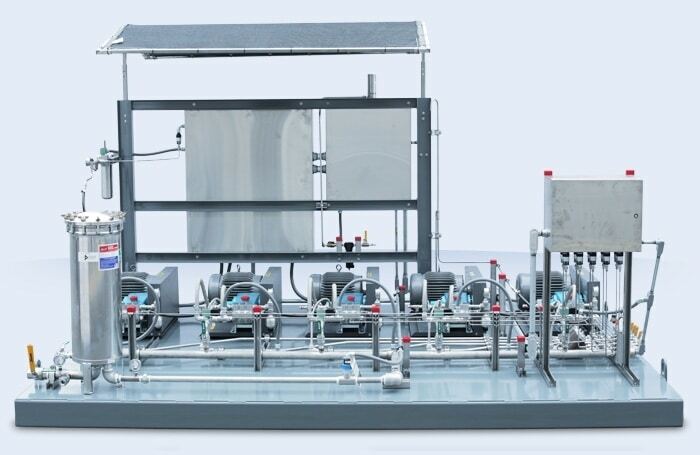 MeeFog systems can be used to pre-cool ambient air for air cooled heat exchangers used for petrochemical processes or combined cycle power plant air cooled condensers. 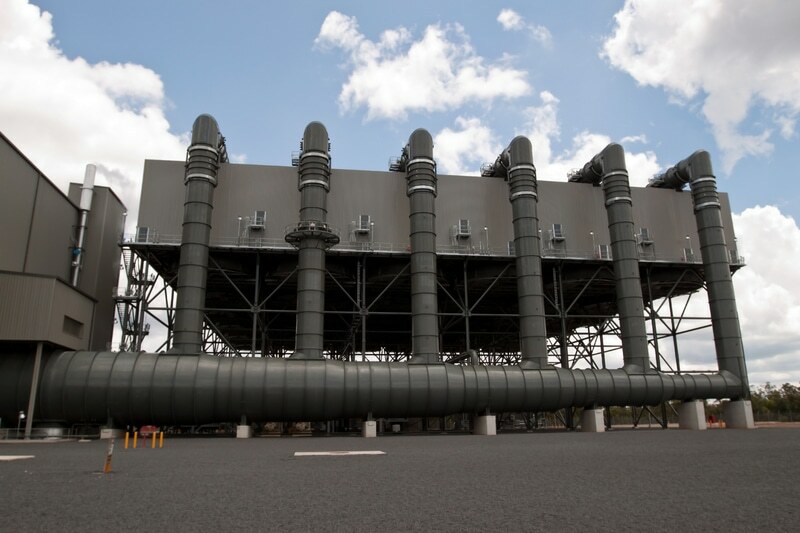 Pre-cooling can increase process throughput or decrease back pressure on steam turbines thereby producing a significant power boost and improving power plant efficiency. 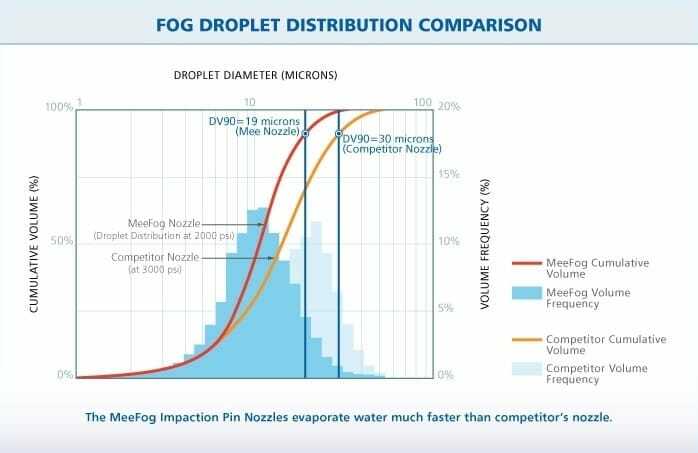 MeeFog has developed a spray system that produces maximum cooling without wasting water. We would be pleased to provide a feasibility study and detailed proposal for your application. 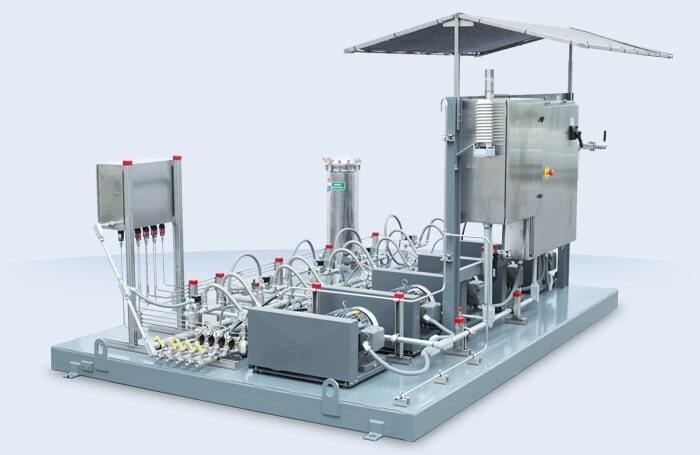 We can provide all equipment, including any needed water treatment equipment, storage tanks, controls integration, etc. 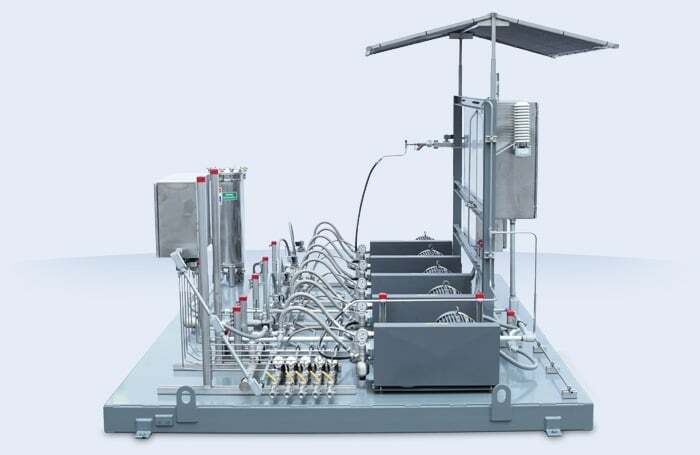 and full installation or installation supervision including commissioning and testing, operator training and after-sale service and support.